Believe it or not, implantable fixtures to replace teeth are not a new concept. Archeologists have uncovered evidence of dental implants in many advanced ancient cultures including the Mayans (shells), Chinese (bamboo), Egyptians (gold wire), and Romans (cast-iron). Other materials used for ancient implants include rubber, ivory, copper, and semi-precious stones. However, it is titanium that makes previous treatment options like dentures and bridges ancient history. Used in surgery since the 1940s, titaniums biocompatibility makes it the metal of choice for both doctors and dentists alike. It is the same material used for tried-and-true medical procedures like hip/knee replacements and pacemakers. 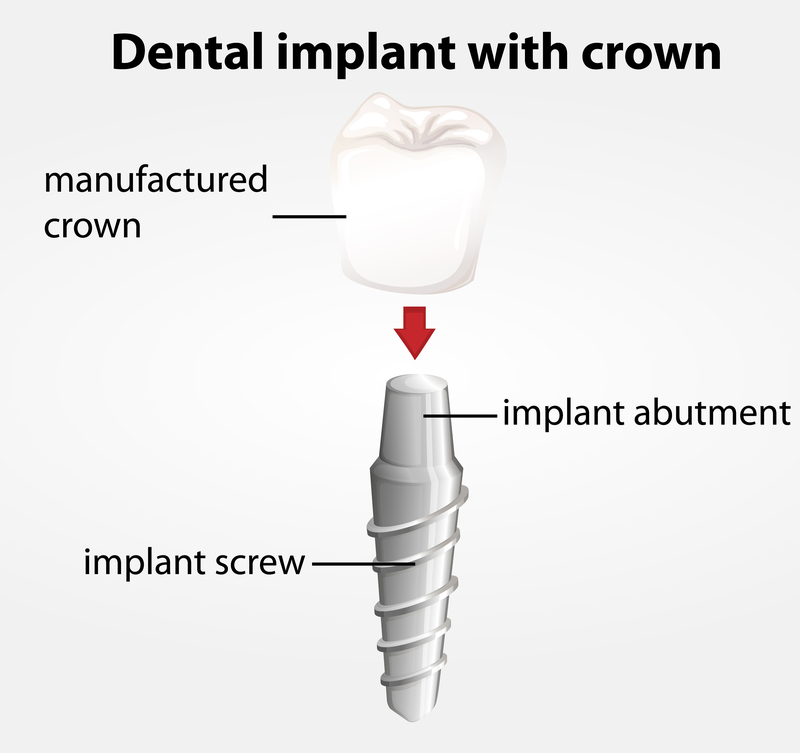 Dental implants consist of tiny titanium posts surgically implanted into the jawbone and topped with a natural white crown. 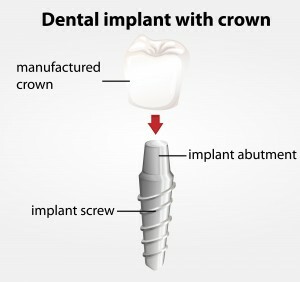 If you consider the implants and bone the foundation, then the crowns and prosthetics would be houses. Modern implants rely on osseointegration, the biologic process where bone fuses tightly to the surface of specific materials such as titanium and some ceramics. Unlike prosthetic devises like dentures and fixed bridges, this strong foundation can support physical loads for decades without failure. While titanium may seem like a material best suited for spacecraft, it is in fact safe and effective in the human body as well. This entry was posted in Implants on September 10, 2014 by Piedm.